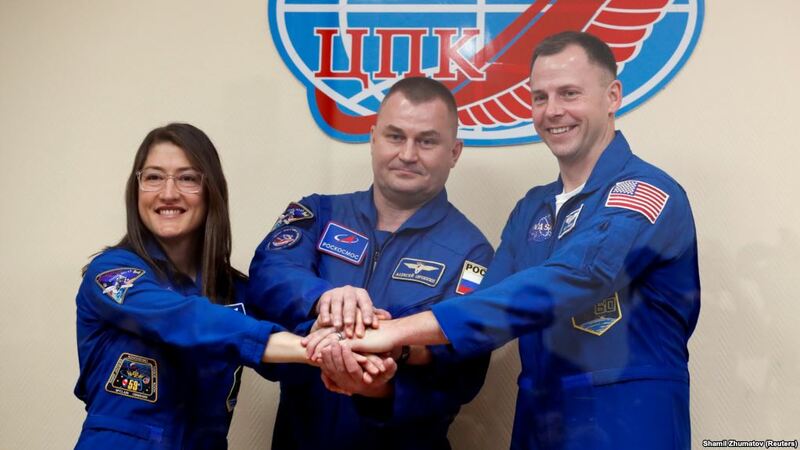 Russian Soyuz spacecraft carrying NASA Astronaut Nick Hague and Christina Koch, and Cosmonaut (Russian Crew members are called as a cosmonaut) Alexey Ovchinin successfully docked International Space Station. Soyuz Spacecraft carries people and supplies to and from the space station. The International Space Station is a habitable artificial satellite in low Earth orbit. It is a joint project between five participating space agencies: NASA (United States), Roscosmos (Russia), JAXA (Japan), ESA (Europe), and CSA (Canada). Gianni Infantino, the President of International Football Federation (FIFA), on March 15, 2019 announced that India will host the seventh edition of U-17 Women’s World Cup in 2020. The first U-17 women’s tournament was held in New Zealand in 2008. Spain is the current champion of the tournament. The U-17 Women’s World Cup will be the second FIFA tournament that will be hosted by India, the first was the U-17 Men’s World Cup held in 2017. Popular Indian fashion designer Ritu Beri has been appointed as the Cultural and Tourism Ambassador of Uzbekistan in India by the Ministry of Tourism of Uzbekistan. This is in recognition of her contribution towards bringing the two countries together by way of fusing cultures in her clothes line. She is the first Indian to be appointed to this position. India has decided to divert three Indian naval ships to the port city of Beira in Mozambique to provide humanitarian assistance to the people affected by tropical cyclone ‘IDAI’. The ships will provide relief materials in the form of food, clothes and medicines. Besides the three medical practitioners and five nurses onboard the ships will also provide the required immediate medical help. India’s Irfan KT on March 17, 2019 qualified for the 2020 Tokyo Olympics after finishing fourth at the Asian Race Walking Championship at Nomi in Japan. Irfan clocked 1 hour 20 minutes and 57 seconds in the 20-kilometre walk to attain the standard qualifying mark for the Olympics. Two other Indian race walkers, who qualified for the World Championship, are Devinder and Ganapati. International workshop on Disaster Resilient Infrastructure will be held in New Delhi on 19 March 2019 with an aim to identify good practices of disaster risk management in key infrastructure sectors. The two-day event is being organised by the National Disaster Management Authority in collaboration with United Nations Office for Disaster Risk Reduction. The Union Ministry of Personnel, Public Grievances & Pensions on March 15, 2019 announced the increase in incentives of Central Government employees acquiring higher qualifications while serving in the job. The employees will get minimum of Rs 10,000 to a maximum of Rs 30,000 as incentives. The incentives will be given only for higher qualification acquired after induction into the service. 1. Which of the following is not a participating space agency in International Space Station? 2. Where will be the seventh U-17 women’s tournament held? 3. When was the first U-17 women’s tournament held? 4. Who is the first Indian to be appointed as the Cultural and Tourism Ambassador of Uzbekistan in India? 6. Where will be the International workshop on Disaster Resilient Infrastructure held? 7. What is the minimum incentive provided to the central government employees acquiring higher education?